The Trump Administration on Monday announced a major immigration policy change that could pave the way for the removal of tens of thousands of immigrants from Texas. The government’s Temporary Protected Status for Salvadoran immigrants will not be renewed after being in place since 2001, the government announced. There are more than 260,000 Salvadoran immigrants with the status in the United States, including more than 36,000 in Texas, according to the Center for American Progress. The designation will end in September 2019, which DHS officials said would allow time for Salvadorans to prepare to return home. The TPS designation was offered to Salvadorans after earthquakes in 2001 left their country in shambles. It had been renewed several times since the initial announcement. On a call with reporters, a senior administration official who spoke on background said the decision was made after a lengthy review process that included consultation with Salvadoran leaders. The Center for American Progress estimates that the Salvadoran TPS holders in Texas have about 42,500 U.S. citizen children. Reaction from immigrant advocates was swift. They accused the administration of not only potentially separating thousands of parents from their children but also of forcing the Salvadorans to return to a county that’s been considered one of the most violent in the world for several years. The ongoing turf war between the MS-13 and 18th Street gangs, as well as the Salvadoran government’s attempt to quell that violence, have kept the country’s homicide rate among the highest in the world. “There’s a totality of circumstances in El Salvador that made it problematic to send people back," said Royce Bernstein Murray, policy director at the American Immigration Council. "The personal safety of individuals, most of whom have lived in the United States ... [and] who likely would be targeted by gangs as people who would likely have resources, their personal safety is at real risk." The Salvadoran immigrants who see their protected status expire will be forced to confront a complex web of federal immigration policy, and have very few options to remain in the United States. If they have children who are citizens, their best hope might be to have a child sponsor them. But Bernstein Murray said even that option is "very limited," especially if the immigrants fall out of legal status. During Monday’s press call, DHS officials said the violence in that country wasn't a factor when the administration was making its decision. That's despite the U.S. State Department's current travel warning for El Salvador, which states that gangs "focus on extortion, violent street crime, narcotics and arms trafficking" and urges U.S. citizens to carefully consider those factors before traveling to that country. The announcement comes less than two months after the DHS announced it was ending the TPS designation for Haitians who fled that country after a devastating earthquake. That designation had been in effect since 2010. Advocates were quick to urge Congress to come up with a solution that allows current TPS holders a pathway to continued legal status in this country. 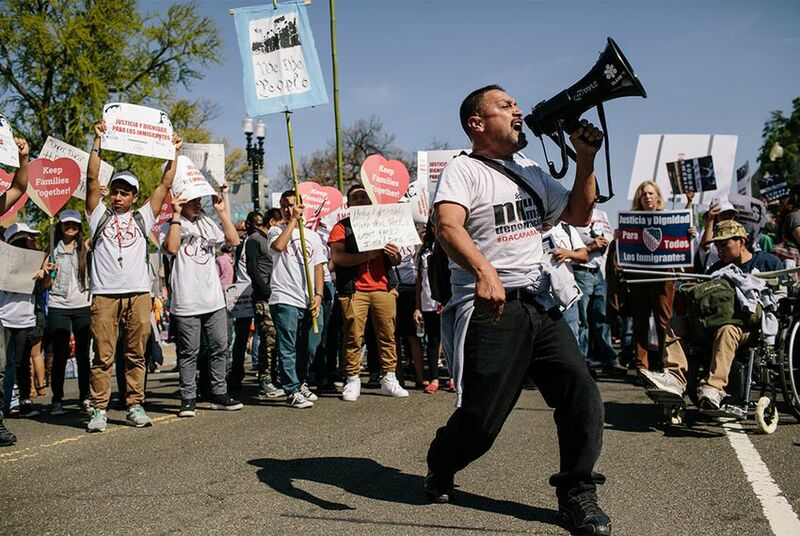 "Congress has a responsibility to act in the best interest of our nation by legislating a permanent solution that allows current TPS holders to contribute fully without fear of deportation,” said Ali Noorani, the executive director of the National Immigration Forum.